I am placing this here because I cannot tell you how excited I am for its release. And because if you haven't read Six of Crows yet, now is nothing if not the time. September 22nd is still a distressingly long way off. But this cover, you guys. 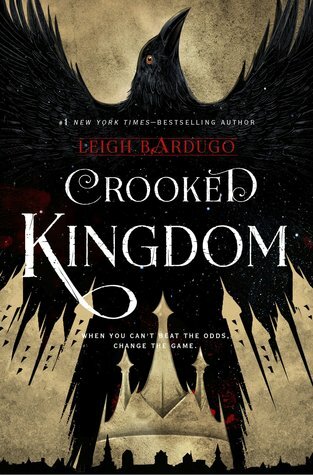 This Crooked Kingdom. Will the pages be edged in black like its companion? Or will they be blood red? Kaz. Inej. Tell me it's gonna be all right.